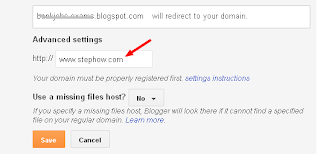 how to set up a custom domain for his blog. Like my friend, many new blogger often search this. Ok, let’s discuss some points before moving ahead. Blogger provides two publishing options like hosting your blog on Blogspot.com and on your custom domain. You can change your publishing option at any time. Now I am going to show you simple steps. Before you do this, you will need to register a domain name. If you already have a domain name, then ignore it. 1 Go to Blogger and Log in to your Account. 2 Go to your blog's Settings and choose Basic tab. 3 Click on Add custom domain you will find it Under the Publishing. 4Advanced settings option appear there, type your new domain name. The domain name must begin with www. See the below image. 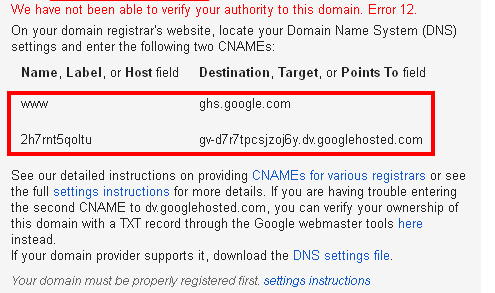 6 At the beginning of the error message you will see DNS setting instructions similar to the image below. These codes are for my blog, your codes will be different. 7 Now you have to change DNS settings. 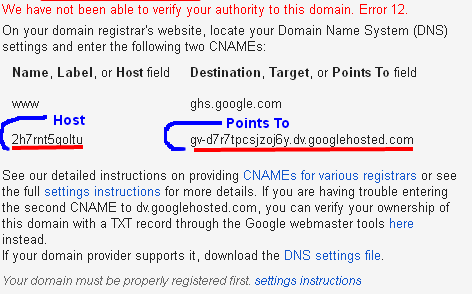 Go to your Domain Name Registrar’s (In my case it is Godaddy) and log in. Go to your Account and choose your domain name. 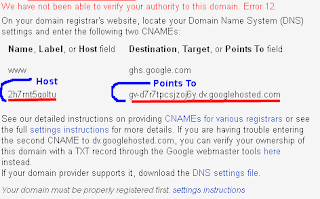 8 Navigate to the DNS Zone File click Edit. 9 Add a CNAME. For Name/Label/Host field, enter www and For Destination/Target/Points To field, enter ghs.google.com like in the below image. 11 Now you have to add A-records. If you already have any “A-records”, modify them. If not, click “Add” button. 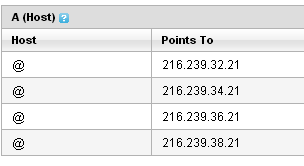 You have to add 4 separate “A-records”, pointing to the following Google IP addresses. 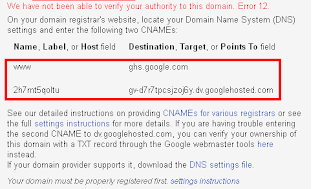 12 Click on the Save button and wait for a few minutes to update DNS settings. 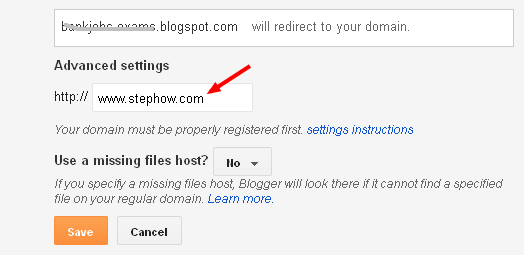 13 If you have closed your blogger page, then go to your Blog go to Settings > Basic > Publishing and again enter your custom domain name. Don’t forget to click Redirect option. 14 Now click the Save button. If it again displays the error message, wait for a few hours and check again.